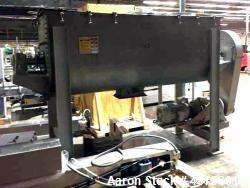 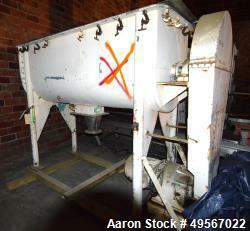 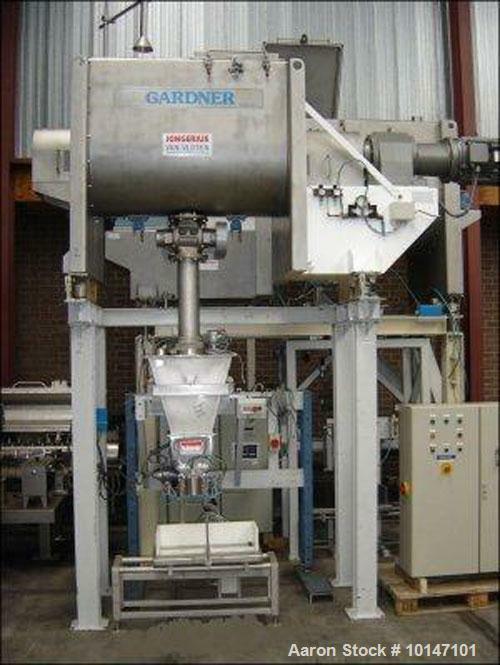 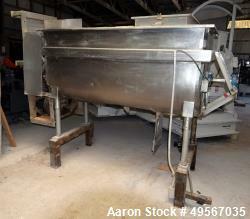 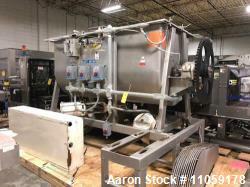 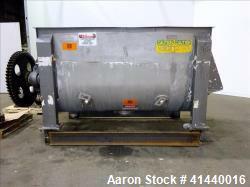 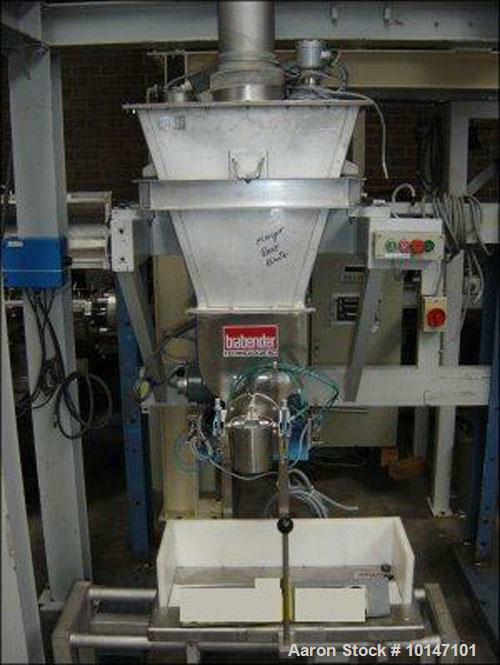 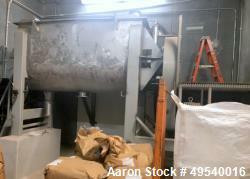 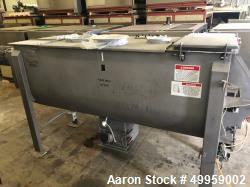 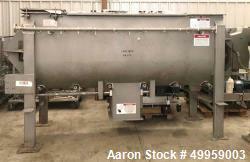 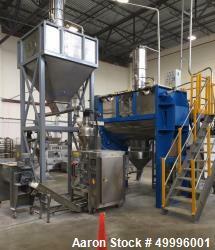 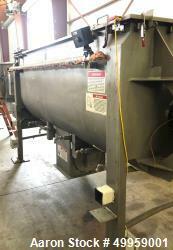 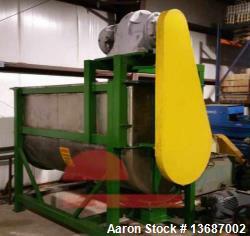 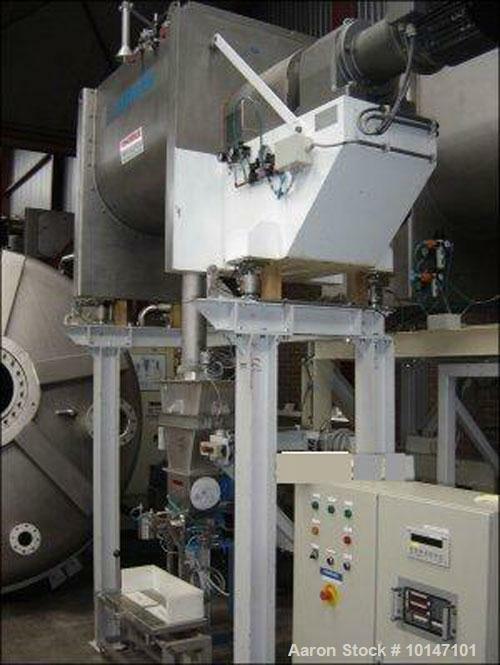 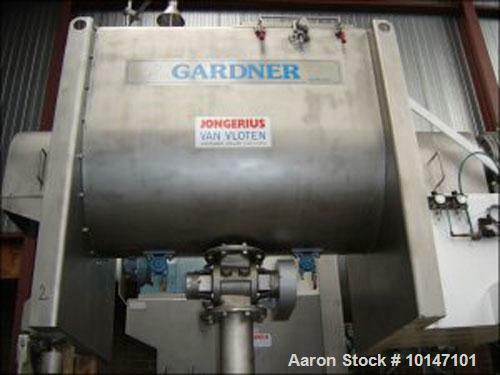 Used-Kemutec Gardner Ribbon Blender, Type HE-750, Stainless Steel construction. 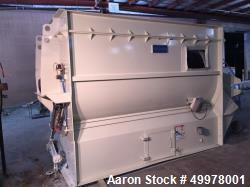 Capacity 26.5 cubic feet (750 litre), trough sizes 52.4" x 34.8" x 39.4" (1330 x 885 x 1000 mm), with cover. 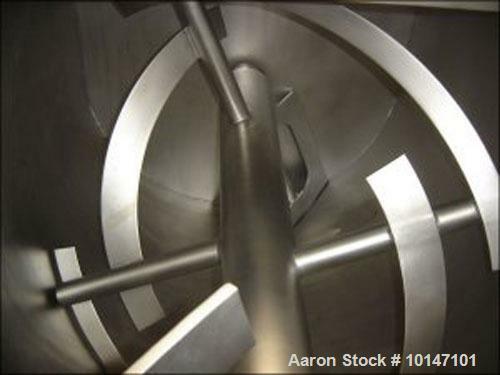 Inlet diameter 3.74" (95 mm) + diameter 4.33" (110 mm) manhole 22.24" x 31" (565 x 785 mm), outlet diameter 5.9" (150 mm) with rotating valve DMN, AL-150. 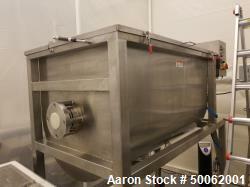 Interrupted ribbon with adjustable packing glands. 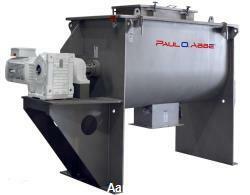 Motor 4.9 HP/20 HP - 3.7 kW/15.0 kW, 380/50/3. 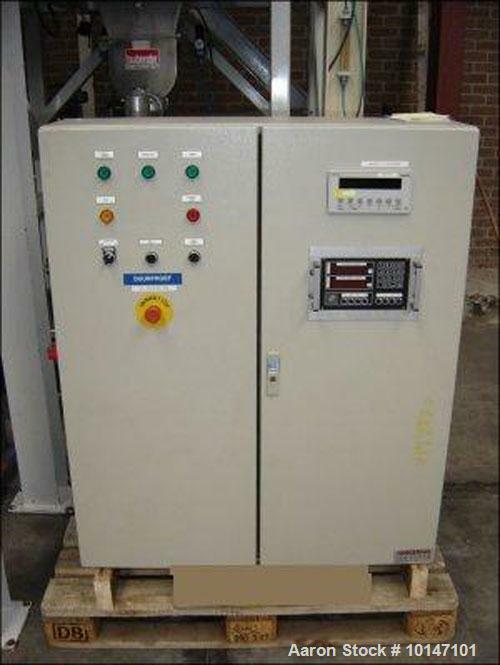 Mounted on a stainless steel frame with load cells and control cabinet.